A brand-new, A-grade commercial building in Haymarket is adding to the increased urbanisation of the area. The nine-storey office building at 180 Thomas Street is now approximately 75 per cent full, with seven out of nine floors either leased or owner-occupied. 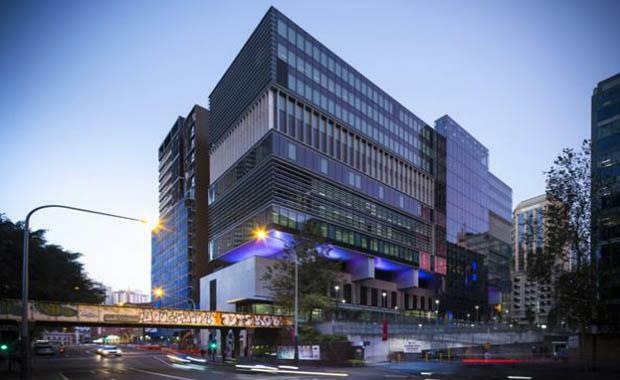 The property has recently received a 5 Star Green Star Office v3 As Built rating from the Green Building Council of Australia (GBCA), cementing its appeal from a sustainability perspective. JLL’s Director of Leasing for Sydney, Andrew Westaway, is handling the leasing commitments for the building. According to Mr Westaway, Haymarket is an attractive area for an array of businesses due to its close proximity to Sydney’s CBD, being just 1.4 kilometres from the city’s centre, and the fact that it’s less than a five-minute walk to Central Station, Sydney’s central train hub. Previously compared with the New York High Line, The Goods Line is a 500-metre pedestrian and cycle network connecting Railway Square through Haymarket, across to Darling Harbour’s southwest corner. Mr Westaway said that due to the increasing gentrification of the area, there are limited commercial opportunities both in Haymarket and across the Sydney CBD fringe market. “We’re seeing interest from a range of occupiers, including the “TAMI” sector – technology, advertising, media and information – as well as traditional businesses,” he said. Mr Westaway said the existing occupiers include Amadeus, who took 4,040 square metres of space across Levels 7, 8 and 9 on a 10-year lease and retail tenant Coffee Roasters, who are occupying both retail outlets on the ground floor at Shop A and B under a 10-year term. There is also talk the internet giant Google is looking about 60,000 square metres of space around the Sydney fringe, including One Central Park or the Australian Technology Park at Redfern.